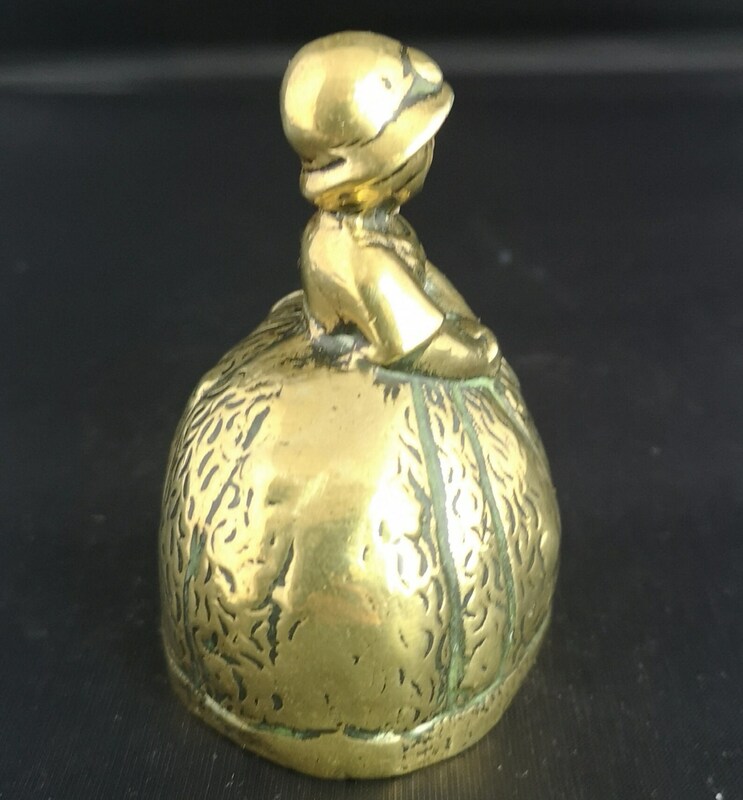 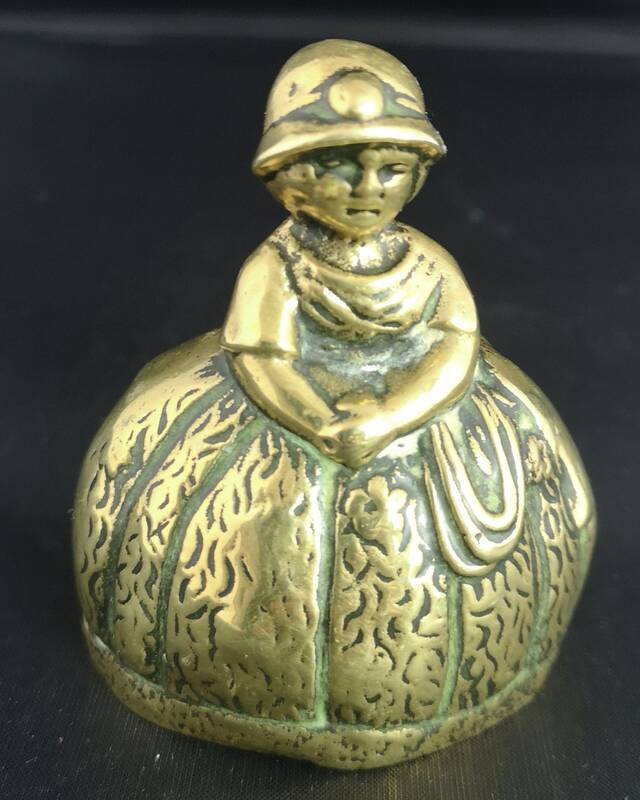 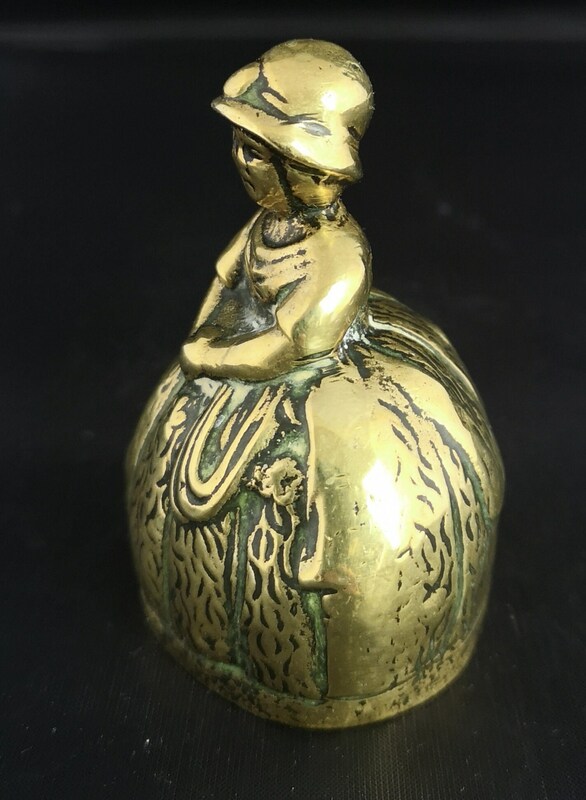 A small novelty antique brass table bell designed as a lady with full skirts. 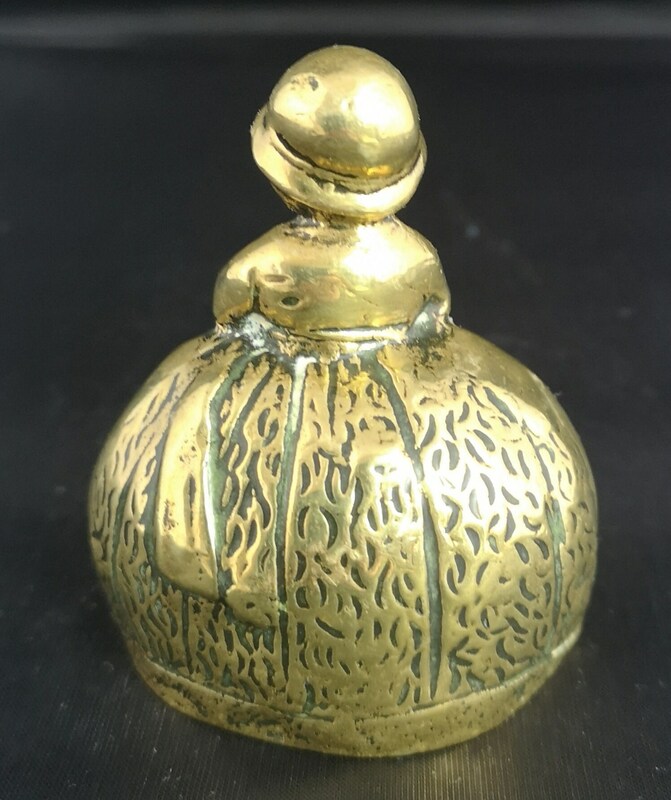 Rustic feel to it, nice and weighty. 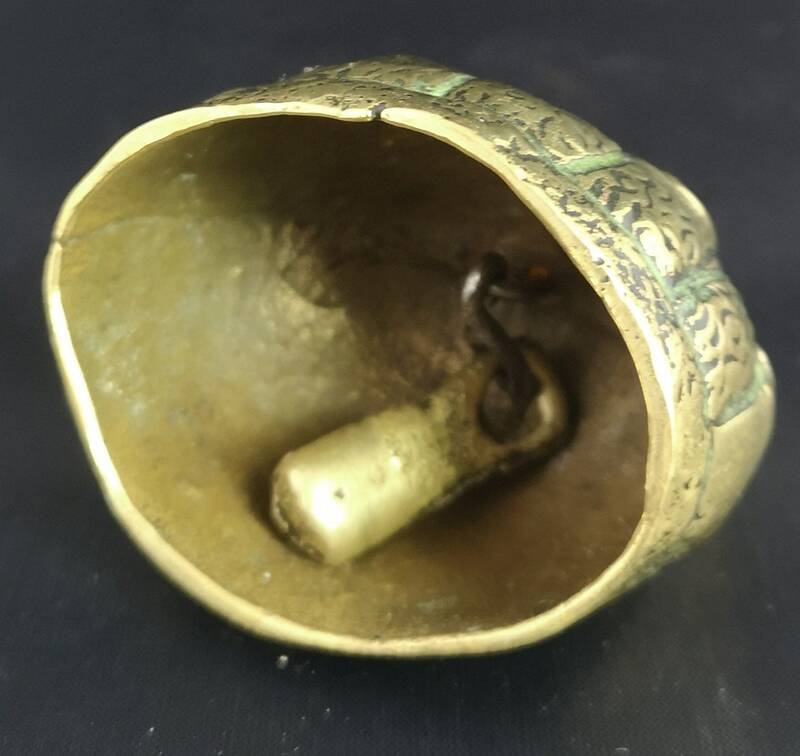 Original chime and rings nicely, mid 1910's. 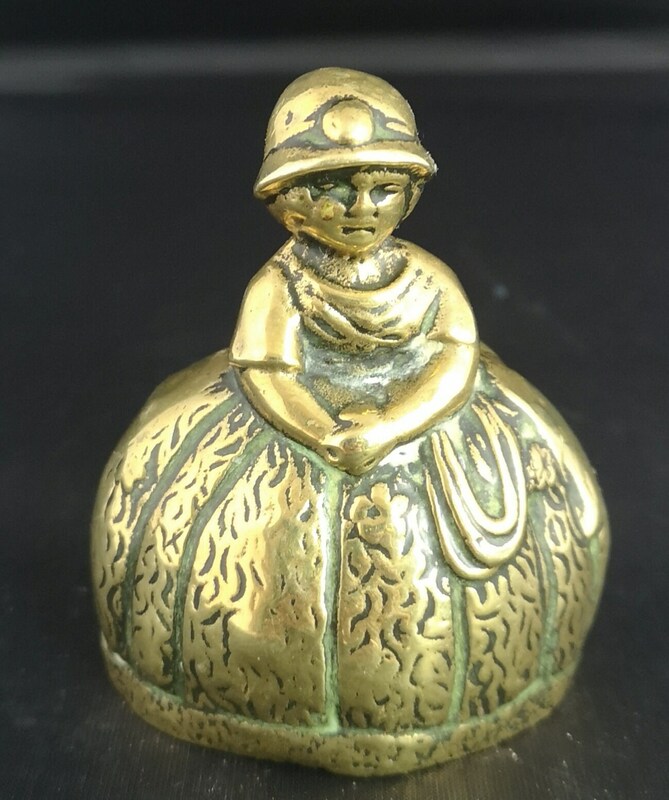 Approx 3" height and 3" width at the widest point.